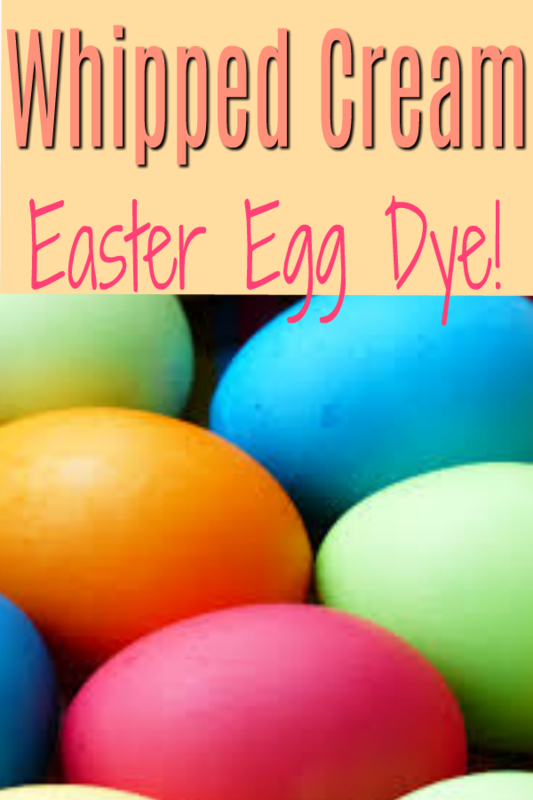 You are here: Home / DIY / Whipped Cream Easter Egg Dye! 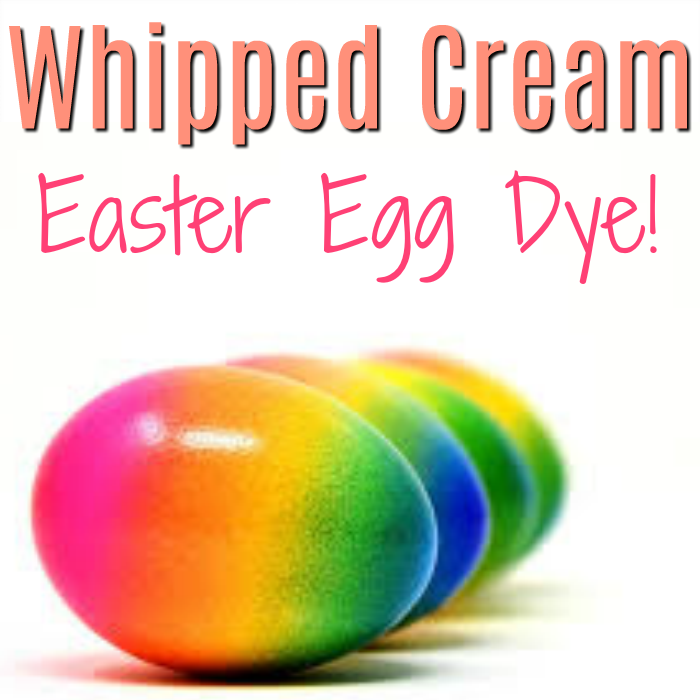 Do you remember dyeing Easter eggs with shaving cream? Do you also remember how your eggs tasted like the shaving cream? No? Well that is exactly what will happen if you dye your eggs with shaving cream. 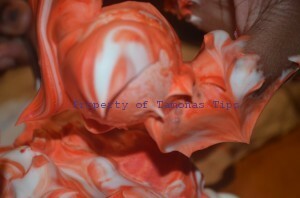 The longer the cool colors sit on your eggs, the more you get the taste of cheap shaving cream when you eat them. How do you remedy this conundrum? Simple, whipped cream. 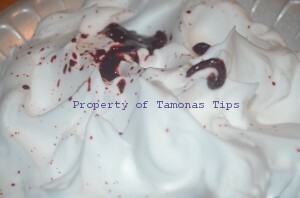 I make my own whipped cream but Cool Whip works beautifully! Mix the colors through. 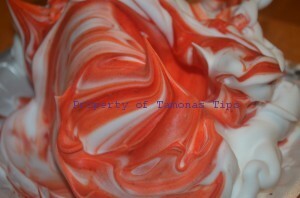 The more you mix, the less marbling you will see. Now you can add your eggs. 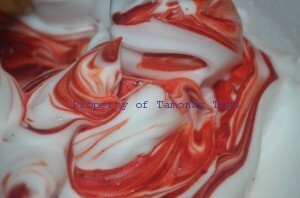 I mixed mine pretty well because I don’t marbling. I want a spray paint look to my eggs. The longer you let it sit, the darker the egg gets. When you are done. 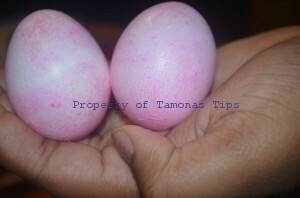 Allow the eggs to sit a few minutes and then wash them off and dry them. I let my eggs sit maybe 2 minutes because I love the lighter colors. Hi I have a question, how died did your fingers get from doing this? I work in a daycare and the children would love this but I’m worried that they will go home with pink and blue hands and that the parents wont appreciate it. LOL oh Kara you will want to avoid letting the kiddos do this without gloves. My kiddos had dyed fingers until the end of the day but by morning it had all faded away. Its temporary for sure but I would not chance it without the parent’s prior consent.